Diners at the Charcoal Pit restaurant on Rt. 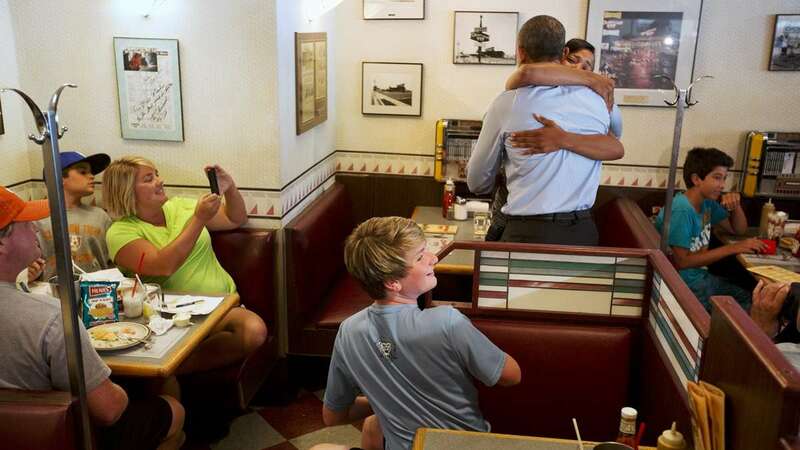 202 in Delaware got a surprise this afternoon when President Obama joined them for lunch. 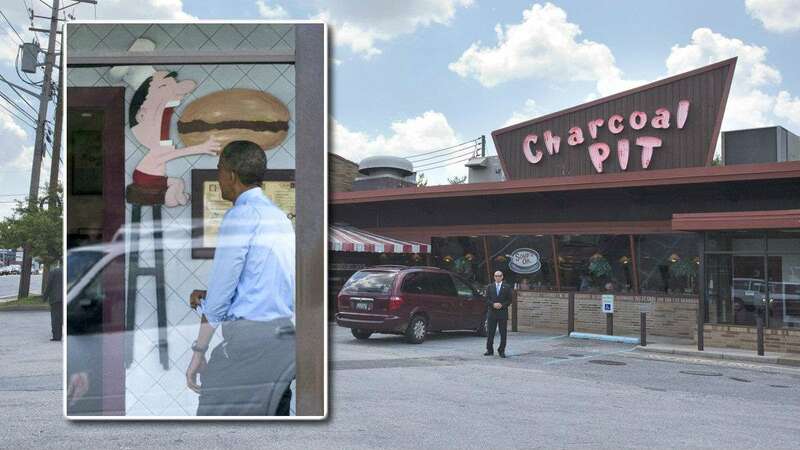 On his way from the New Castle Airport to the Port of Wilmington, Obama stopped at the burger joint near Wilmington. The restaurant has been a landmark in Delaware since it opened its doors in 1956. 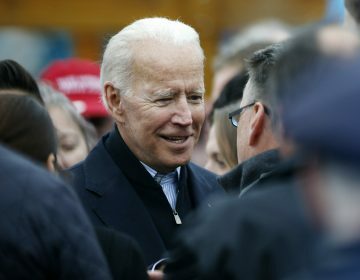 Vice President Joe Biden has made several appearances at the restaurant, including a high profile visit a few weeks before the Obama/Biden ticket won its first election in 2008. 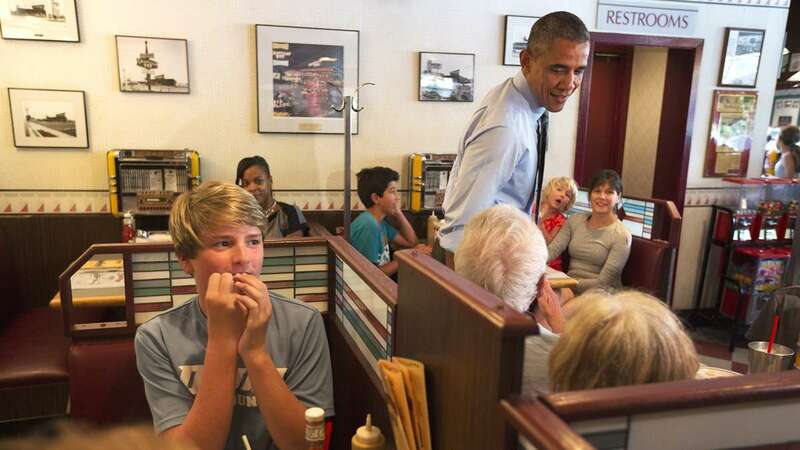 “Biden told me the burgers are pretty good,” Obama said, according to reports from the press pool. 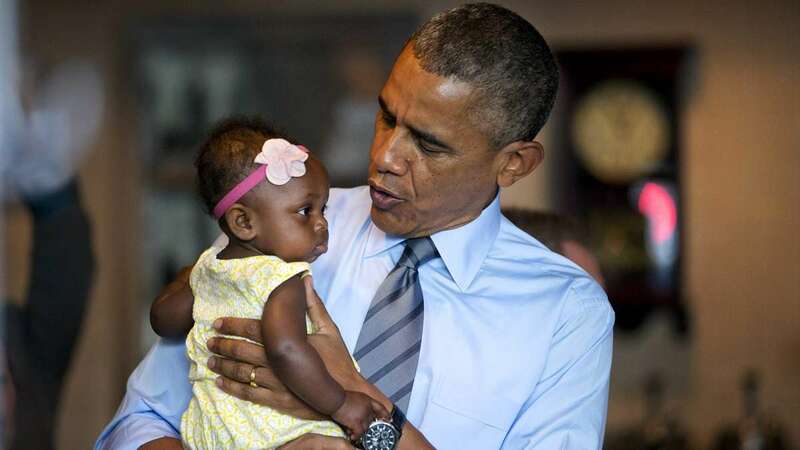 At one point, Obama picked up seven-month-old Jaidyn Oates and posed for a picture. After finishing his meal, Obama got back in his Secret Service motorcade en route the Port of Wilmington.